This headgear is for use only with the Simplus Full Face CPAP Mask. 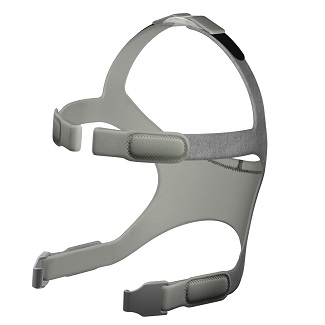 This is the headgear with headgear clips and buckle only and does not include any other parts or the mask. The size Small Simplus mask comes packaged with the Small size headgear. The size Medium and Large Simplus masks come packaged with the Medium/Large headgear.